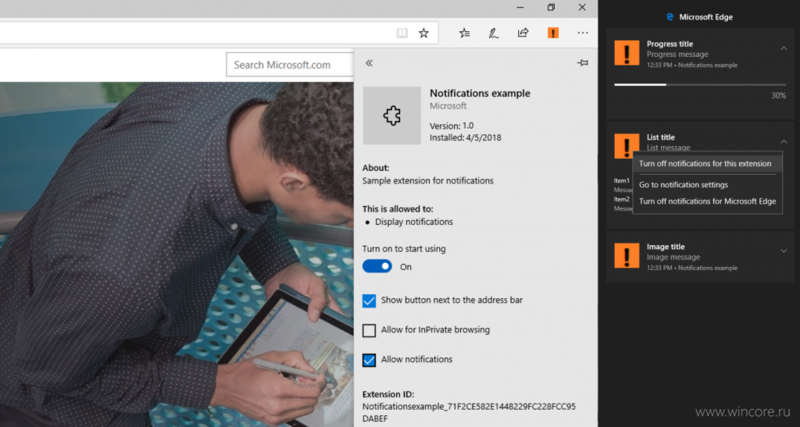 Developers of extensions for Microsoft Edge can already use the Notifications API, in the newest version of the operating system: Windows 10 April 2018 Update. It supports simple messages, interactive notifications, progress indicators, lists, and other types of notifications. Developers can customize the appearance of notifications by using their own icons, unique fonts, buttons, and button icons. All standard Windows notification functions are available for the extension notifications. Namely, they are accessible from the Action Center; the user can cancel, delete or disable notifications from a particular extension without changing the browser settings. Everyone is already familiar with the feature that allows for launching extensions in private mode. 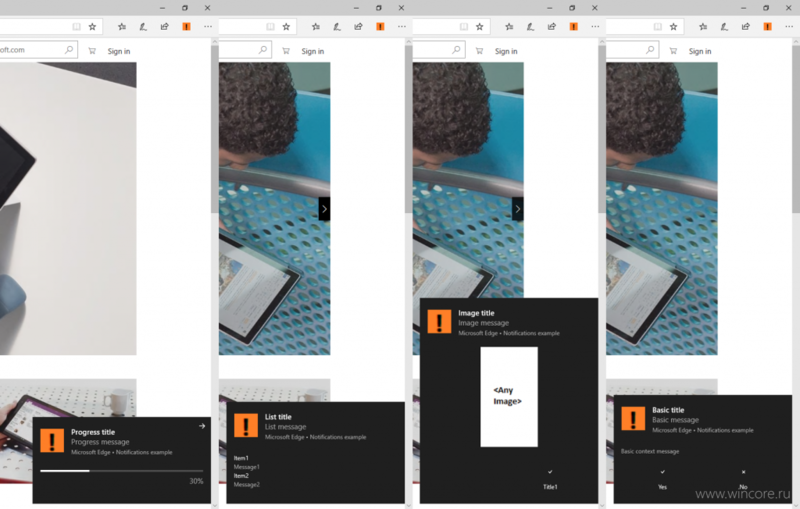 In addition to it, the Edge developers draw attention to the new option for direct reloading of the specified tab (tabs.reload()). Read the full user guide about Windows 10 and Microsoft Edge.